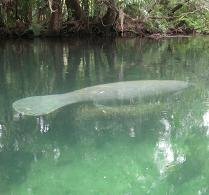 Here's a couple stories that are from outside Florida, but are interesting nonetheless. The first article in the Roanoke Times is about Virginia prosecutor who is making a name for herself by vigorously enforcing animal cruelty laws. Second, the Radio Taiwan International has a quick blurb here about new legislation pending in Taiwan that would increase the protection that animals enjoy under the law. Among other changes, the new law would provide for the publication of the names and pictures of animal abusers.